Castle rock is a new addition to this pre launch having 2 sizes of 2BHK. Hiranandani Zen rates, flat sizes, floor plan and different stages of constructions and hence cost offers unique opportunity to suit every budget and payment cash flow. Allch of these flats comes semi furnished with fully done up kitchen and all white goods including split acs. 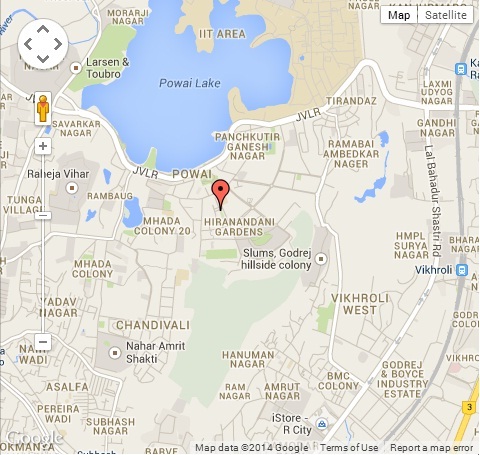 Hiranandani Maple is the lowest price 1bhk, Castle rock is most affordable 2 bhk followed by Hiranandani atlantis. Strategically located opposite the serene Powai Lake, Hiranandani Gardens powai is place where more than 4000 families stay. Sprawled majestically over 250 acres. Hiranandani gardens powai is a self sufficient township with premium schools, hospitals, shopping marts and have catering to premium segments like CXOs or expats those care for quality of life. 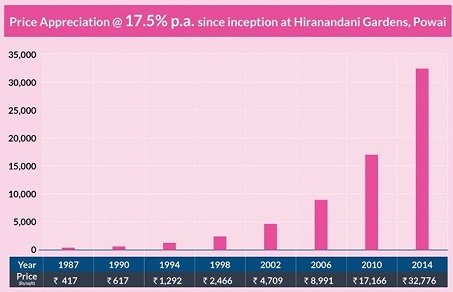 which is why Hiranandani zen, part of hiranandani gardens powai is likely to witness good resturns for investors both from capital gain and rental yield point of view ( see YOY annual appreciation graph below), Even in this kind of market scenario, in last 1.5 year since pre launch it already delivered 20% return on hiranandani atlantis at hiranandani zen powai. Call us for limited period offer on 2BHK offer on Castle Rock now!